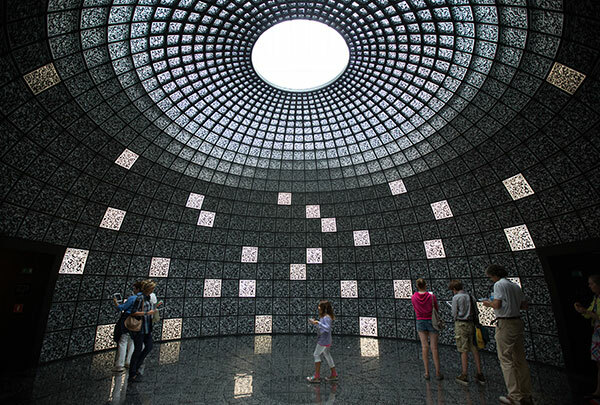 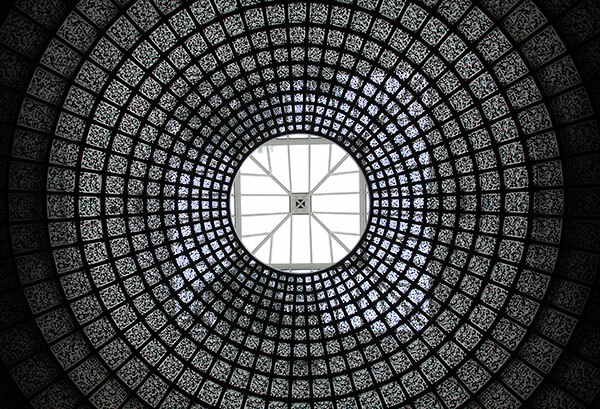 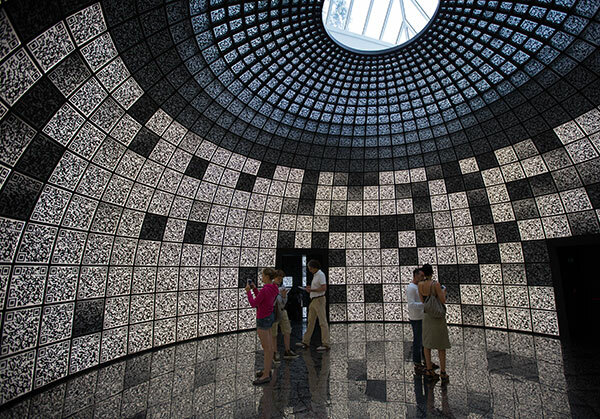 More Venice Architecture Biennale fun ~ I-City at the Russian Pavilion is a multi-room QR code experience. 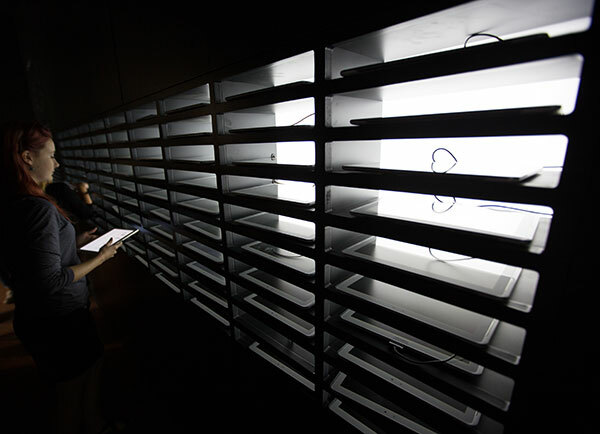 The exhibit was designed by SPEECH and Valode & Pistre and curated by Sergei Tchoban. 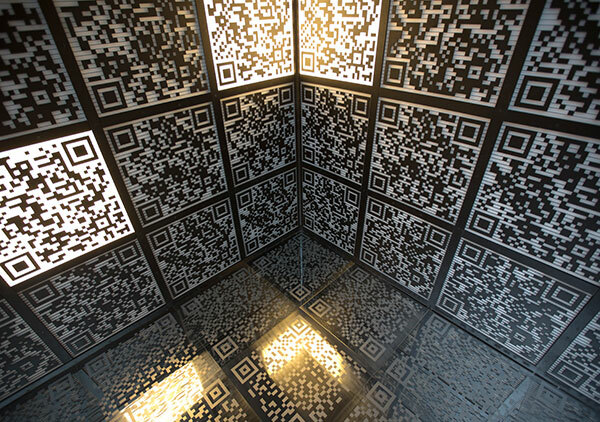 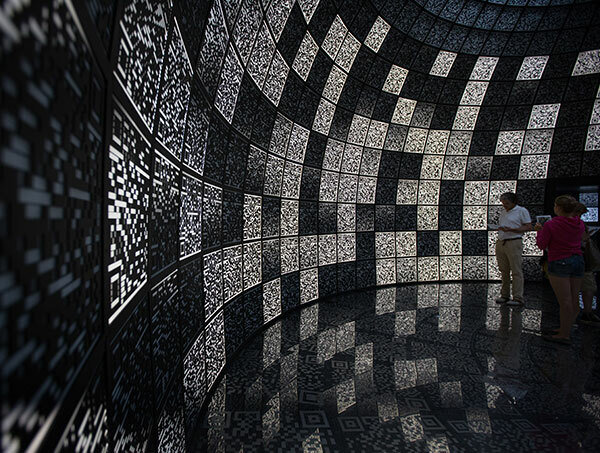 The floors, walls, and ceilings are covered in QR codes providing a mesmerizing effect. 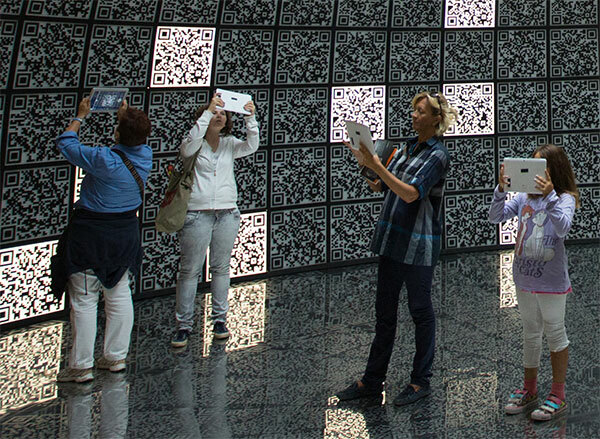 Upon entering you are handed a Samsung tablet, and told to point and shoot at the illuminated QR codes. 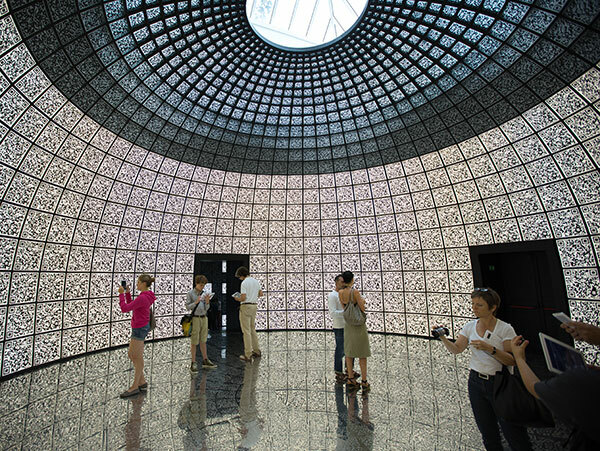 When you click the photo of one you are presented with work from David Chipperfield, SANAA, OMA, Herzog & de Meuron, Stefano Boeri, SPEECH, and Mohsen Mostafavi among others. 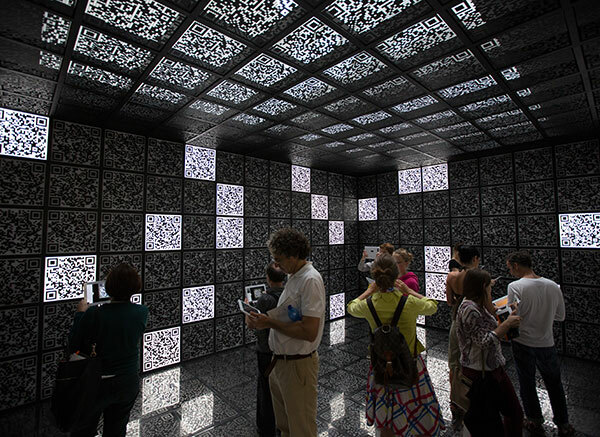 In all honesty, it was as fun to wander around the rooms and watch people trying to watch the QR code content as it was to view the content itself. 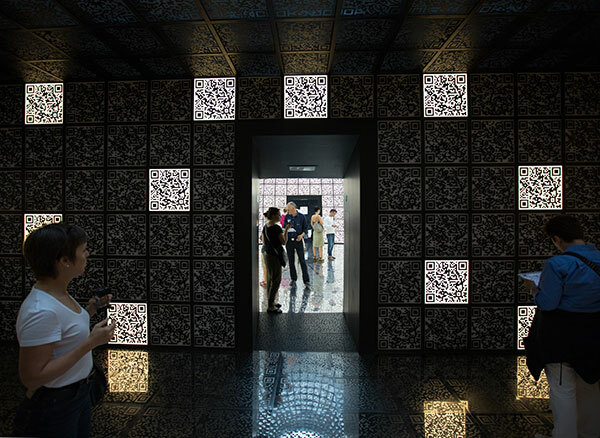 The walls and ceilings were backlit matte black powder coated metal QR codes, and the floors were etched reflective metal panels. 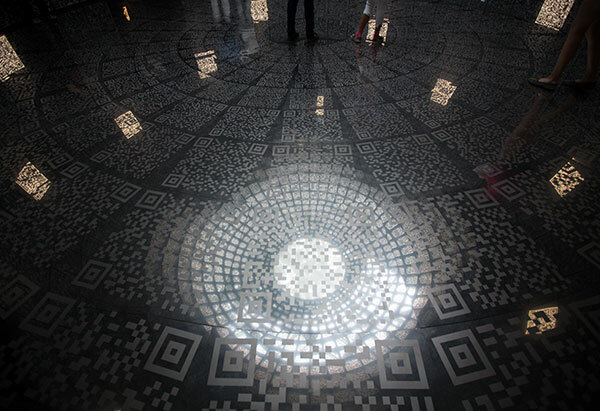 It was a completely trip to experience… see lots of fun pics on the next page!